Armed with wooden plugs and hammers and travelling by bicycle, ‘length runners’ rode the length of the pipeline in its earliest days to look for leaks. Gary Peters. A length runners bicycle. Since the pipeline was originally buried in a trench, they were keeping an eye out for water bubbling to the surface as they rode along their allocated section of track below which the pipeline lay. Richard Hartley explains in his history of the scheme, River of Steel, that individual bursts in the pipe due to external corrosion were generally repaired by these length runners. On finding a leak a length runner would dig down to expose the pipe and locate the hole. This was done by feeling with his feet – often the hole would be in the bottom part of the pipe resting in groundwater. Once he had felt where the water was spurting out he would dive down and plug the hole (which could be up to 5 cm in diameter) by hammering in pointed wooden plugs. The plugs were sawn off flush with the pipe once the leak had been stopped, the plugged hole covered with a pad of indiarubber and a steel band then fixed around the pipe. By the 1920s when corrosion had reached worrying proportions, length runners were travelling in twos so they could tackle bursts too extensive to be tackled by one man. Works gangs could be sent out from centres such as Cunderdin or Northam to situations where pipes had to be replaced or more labour was needed. Later the horses and carts were replaced by trucks. 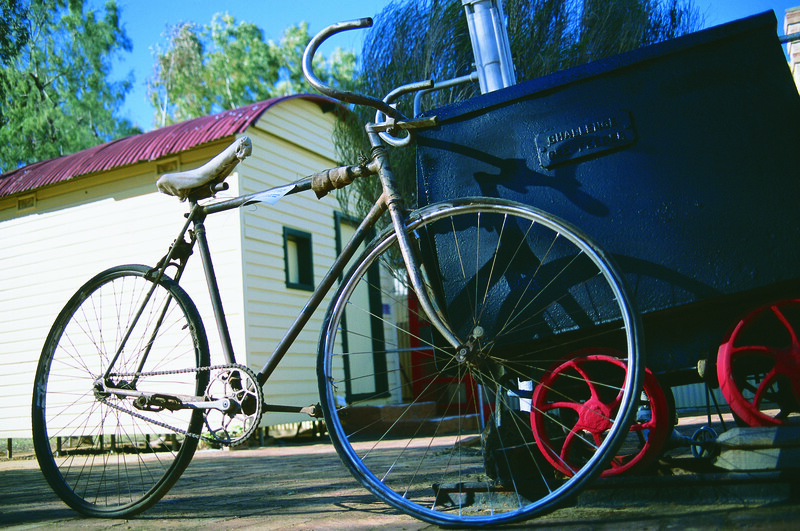 You can see a length runner’s bicycle at the Yilgarn History Museum. The bicycles were fitted with a big leather bag which fitted into the frame of the bike. In it the length runner loaded his plugs, tools and hammer, as well no doubt as his lunch and water. After working during the Depression years on the relaying of the pipeline above ground, Charles Millea became a length runner. His son, Frank, became Superintendent of Mainline Pumping based at Cunderdin and in River of Steel Frank Millea recalls early memories of living in a house at the Bullabulling Reservoir which was at the centre of his father’s inspection run. They would ride their pushbikes alongside the pipeline, and if there were any bursts in the pipe, they would hammer the wedges they carried into the holes. They also used to carry punches for knocking, or caulking the lead back in again at the joints between pipes. They carried their tools in a leather pouch that used to hang off the cross bar of the bike. 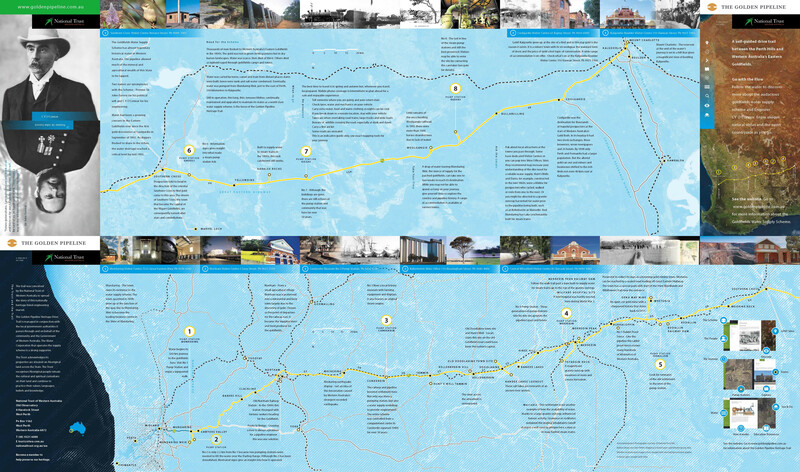 They used to ride about twelve miles on one day – six miles out and six miles back – and then the next day they’d go in the opposite direction for six miles. There were blokes stationed at about every twelve miles along the pipeline.